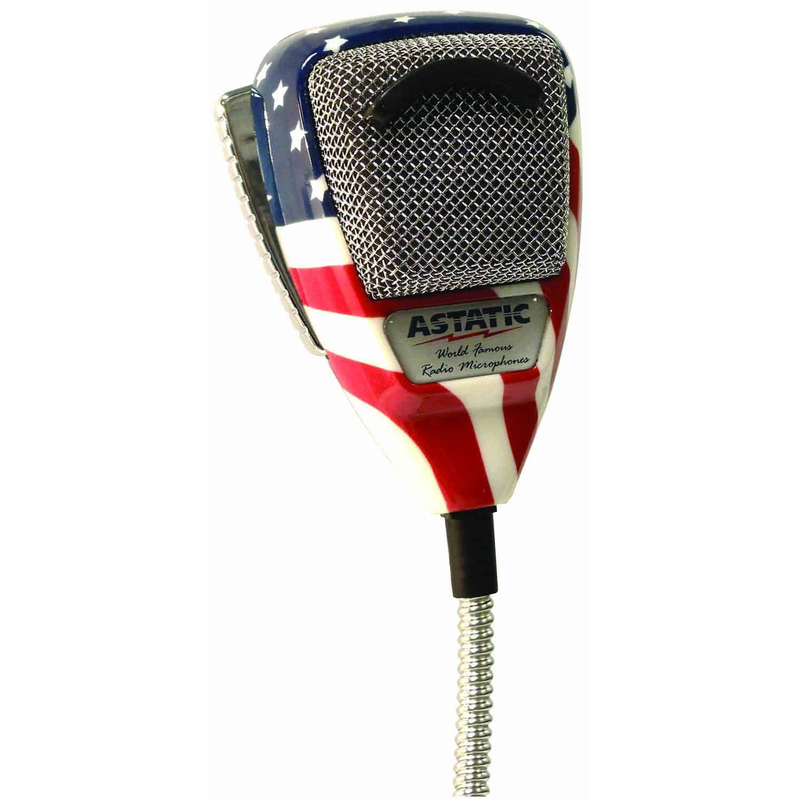 The Astatic 636L-FLAG Noise Canceling 4 Pin CB Microphone is the ULTIMATE noise canceling CB microphone. The 636L-FLAG boasts heavy duty construction, Grille screen, and a smooth operating, long life switch with spring return. Select models also feature a stainless steel cord. The Astatic 636L-FLAG is also available in black, chrome, silver, and American Flag graphics. The 636L-FLAG is stylish and sleek making it the perfect noise canceling microphone for CB, Amateur radio, and SSB communications. 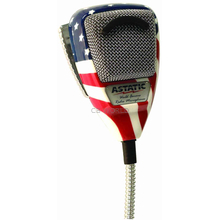 The Astatic 636L-FLAG is a 4 pin DIN dynamic CB microphone. The 636L-FLAG mic is compatible with any CB radio, wired for a standard 4 pin plug. For complete information on CB microphone compatibility, see our CB microphone guide available in the CB World Help Center.